Due to a completely random turn of luck and strange turns, I just got a single 2nd row ticket to Metallica’s show tomorrow – and at face value of $65. I had been on and off watching craigslist for a deal, but narry were they to be found. Scalpers were trying to get $100’s for even not-so-great tickets. Fortunately, I didn’t have to mess with the risks of fake tickets or flaky craigslist sellers at all. This marks two concerts now that I’ve gotten amazing tickets for less or at face value (first was 10th row Police tickets). Never-the-less – off to the show! I returned home late last night and had a mysterious FedEx box on my door. I hadn’t remembered ordering anything so when I opened it up – I was pleasantly surprised by my free 8gb iPod Touch had arrived! I had signed up for Key Bank’s free iPod with the opening of a new account about 3 months ago. Deal was, if you opened a business account by making the initial required opening deposit and keep the account in good standing for 3 months (meaning: 2 automated payroll deposits and 1 ATM card use), you got a free iPod Touch. Well, my 3rd month wasn’t supposed to end until Oct 30th, but it looks like they went by opening date instead. The thing instantly gets finger-printy and the back scratches just by looking at it. You find yourself cleaning it a lot. Looks like a protector of some sort will be required. I don’t really like iTunes. Friggen slow – why is the iTunes interface so slow. I can only take 15 minute doses then go do something else. Browsing is a pain due to speed. No no no! Why do I have to enter a credit card number just to use my iTouch??? I couldn’t use my iTouch without the iTunes software. I can’t install iTunes without an account on the store. I can’t create an account on the store without a credit card number. So, I can’t use my iTouch device without giving Apple my credit card number. I don’t like that. There is no reason for them to need that. I can’t even just browse around for free or just use my device. That’s not cool with me. I’m looking for alternatives software now. Getting existing music on the iTouch is a pain. All I wanted to do was drop my existing mp3 collection onto the device, and it took me a long time to figure out how (you have to add your music to the ‘library’ then you can click and drag). I have my music ripped to mp3’s – and arranged in folders by artist/album. When you drop it into iTunes – it looses all that sorting. Some of my mp3’s didn’t get artist/album/album art info on it. So now I have to either enter that myself for all my songs, or just live with lost of ‘unknown artist’. My iRiver is just a usb stick that I plug in and drag and drop files. Thats what I want. Pandora is worth the price of admission alone. If you can find free wireless, you have free streaming internet radio. A good number of the apps are pretty mediocre/low quality right now. There is a lot of untapped potential. Sync works pretty well – just plug in and sync. Not so sure about the ‘register my computer’ bits though. At least you can unregister easily. Free is the right price: I wouldn’t have paid $225 for this device. There are simply too many other good mp3 players out there for 1/4 the price. That and I usually use my mp3 player for exercising – and the touch is too big (and too nice) for that. Podcast subscription features are nicely integrated. Well well. Have you ever sold a car, then saw it again? I just did. I was driving back home on Saturday, and saw a familiar car. It only took a second to realize it was my old 93 Nissan Altima that I had sold a fellow a few months ago. In Oregon, the plates go with the car – so I knew for 100% sure it was my old car. Outside of looking like it needed a good bath – it looked exactly the same and running great. I had to turn off for my stop – but for about 3-4 miles – I got to follow the car that served me so well for 10 years. Appears to be serving the next guy just as well. How about you? Ever see your old car or other item that you sold in someone elses hands – even years later? After a bad week of destroyed bathrooms, cars getting hit and just general crunch time at work – things are beginning to sort themselves out. 1. Shower is fixed – and I got a entire apartment cleaning free out of it due to the dust, destruction, and whatnot. That was nice and I can shower at home again. 2. The broken bathroom really lit my workout schedule – Since I had to shower at work, I decided to go running 5k on the treadmill every day before getting the requisite hosing down. I went running every night for 2 solid weeks now – and it feels great! my bash.org quote hits 1000! Matt-0375> hear about the people getting sore from playing the wii controllers? -Last Saturday: landlady reports the bathroom in the apartment below me just had her ceiling bow, then collapse. There’s a leak of some sort. No using shower until Monday when the plumber arrives and confirms the pipes are ok. Tiler comes on Tuesday and confirms that the tiling was leaking. Proceeds to rip the wall out and then put a dehumidifier in my bathroom. So, I get to shower at work every morning. 1 week later – still drying the wall out – at least 2 more days before I get a shower at home. Sigh. -Thursday: battery in car dies – need to get a jump from cab company in the middle of the night. Get up super-early next morning to go get another battery and old one is confirmed dead. 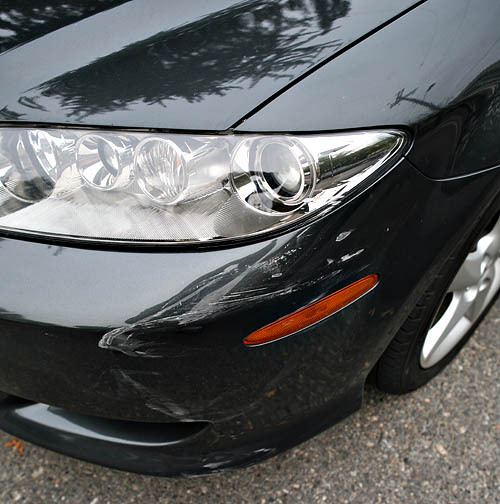 -Saturday: while parked outside a cafe – a lady mashes the front of my car. I wasn’t there, but she did leave a note with a policy number. Car is still drivable, but now I need to get at least my whole front bumper replaced and one headlight. more sigh. So, how did all your week go? I personally couldn’t care what party you’re part of – as long as you show me that you have a real plan grounded in research/facts, that has a priority appropriate to the funding/time it will take, and is fiscally responsible. While I didn’t necessarily agree with the ways he suggested to fixed things (but I bet it would have worked just fine – way better than the current proposal anyway), Earl nailed the problem right on the head. Here’s one congressman who I’ll vote for in the next election because he actually gets it and voted against the current plan both times – calling for more options to be explored. While the markets are still in freefall (which I predicted), and I do bet that the bailout package did help stabilize things a lot – I still don’t think it’s the right or best long-term solution we can be pursuing. Thank you for contacting me regarding H.R. 1424, the Emergency Economic Stabilization Act. During the past two weeks, I have received comments from thousands of constituents deeply concerned about the ‘fiscal fitness’ of our country. Like you, I opposed this legislation, voting against it at every opportunity. My opposition was grounded on a simple concept: that Congress should work to protect American homeowners, not to save Wall Street from a crisis of their own making. As Congress deliberated on the legislation, I worked to include improved bankruptcy protections for homeowners and to include a small fee on financial transactions, so that Wall Street could help finance the bailout. Because the final version of the legislation failed to include these common sense proposals, I voted against the bill. This was difficult because the final bill included several important provisions that I’ve championed for many years. The bill reauthorizes the Secure Rural Schools and Roads funding which is critical for rural communities in Oregon and it prevents the Alternative Minimum Tax from hurting millions of hard-working middle class families. It extends the production tax credit for wind energy and the investment tax credit for solar energy. It includes legislation I drafted to provide a tax credit for the purchase of small wind turbines. These programs will create jobs in Oregon. The legislation also provides tax fairness so employers can offer the same transportation fringe benefits for bicyclists that they offer to employees who commute by car and public transit. Even with these additions, I could not support the final bill. While I’m frustrated that this legislation did not deal with the underlying cause – housing values in free-fall and homeowners in distress, I hope that it is successful. As a member of the Committee on Ways and Means, I will work very hard to oversee the implementation of this legislation. I will closely scrutinize the Treasury Department and will work to contain the consequences of billions of dollars of added debt which our children and grandchildren can ill afford. As a country, we will be dealing with these issues for months to come. Again, I appreciate your advice and counsel. I look forward to working with you to improve America’s fiscal fitness to strengthen our financial systems and economic security. Folks – you should be pissed off – we just got shafted in the largest hosing you will see in your lifetime – and it isn’t even at the worst yet. 1. Stock market will just keep declining. Nothing in the bailout will stop stocks from deflating. Companies are looking to re-entrench, and hunker down for tough times. That means folks will not be putting money into the markets since no company is looking at growth for the next year or so. That means the markets at best would be flat. And with stocks driven by speculation so much right now – everyone is running for security. Not that congress probably should have done anything anyway. It was probably time for a good market correction. Prediction: markets will continue a steep decline for the next month or so, with slower flat to down trends for the rest of the year (at least). The markets won’t recover in any meaningful way for a year or two. Because of this, you’re going to find that more people were in more risky ventures with your pension funds than should have. Pensions and other retirement accounts are going to go bankrupt because of poor management and over-investment in declining stocks. Our financial ‘experts’ have been playing fast and loose for years – and seem to have forgotten all the rules of exposure they were supposed to be following. Wait for it. 2. The downward housing spiral is going to continue. The debt holders to these bad loans likely have not been forthcoming with how bad these debts really are. One of these managers said that if they just got liquidity, they’d be all able to all sell at face value. So, those loans for $300,000 homes that are now worth $150,000 will just magically go back up to double (or more) in value? If this is the extent of the lying they are telling congress – and congress believed them – then we’re all f*cked. As home prices continue their declines, more owners will continue to default since it’s better for the average person to take the default and 8 years of bad credit than pay $150,000 in value you’ll never see again . The BEST we could hope for is that folks stay in ridiculous upside-down loans – which I just find hard to believe. Even if we could do this, folks will be paying for years and years on homes that are not worth what they are paying. Everything will grind to a halt for years while we just pour money down holes and sit saddle with debt. Debt and greed that WE, my fellow Americans, signed with our own hands. This time the corporations just let us be stupid. Yep, they hold 50% of the blame because they were supposed to be doing the right things – but we hold solidly the other 50% for not doing OUR homework. None of this was rocket-science. It’s been in self-help books and homebuying guides for years. Prediction: The value of houses in most places will continue to decline by 1-5% every month for the rest of the year and will stay flat for years. Here’s the data for the current situation from S&P or already charted for you. Obviously some locations will be more than others. But they will all continue to keep declining – which will continue to encourage people to default and walk away from $100,000s worth of bad debt. And there is absolutely no reason for folks to buy a house right now outside of moving. Yes, you can’t guess the bottom – but I can also just wait till it starts going back up and it’ll be safer that trying to catch a falling knife. 3. Job losses will continue. Nothing in the bill will address the coming job losses – nothing can. Again, companies are looking at contracting markets – not expanding. They’re not hiring and won’t until a broader turnaround happens. Yes, immediate operating loans will become available again, but that’s just a small comfort. When times get tough – you have to cover your loans much more heavily – tying up cash. This will probably be the case for a year or two in the broad economy, but some sectors will be slower/faster. Expect job markets to shrink, and lots more layoffs in the immediate future. 4. Depression is a real word – and we may just get one. I for one am still very convinced we’re in a 50/50 shot for a depression – we’re already clearly recessing. Maybe not quite like the 1920’s, but it will be very bad times. Likely the worst any of us have seen in our lifetimes. Jobs are already starting to declining by 100,000’s per month (159,000 last month alone) for the next few months at least. The question is where it stops – and I’m not hopeful at all. There is no immediate positives to turn things around. I predict an unemployment rate of about 9-10% by mid-next year. I sure hope you’ve saved up some living cash. I feel exposed with just 9 months of living expenses saved right now. I wish I’d saved up 2 years worth personally. I’m cutting 90% of my discretionary spending and working towards that goal of 12-24 months of living expenses. 5. The days of easy credit and easy ownership are OVER (and SHOULD be) Some car dealer was complaining on the radio the other day that folks that could get loans before couldn’t get them now. After giving the sob story, he revealed that folks used to get loans with a score of 625, but now need 640’s or higher. What?! That’s cause of us to run screaming for the doors? Scores below 640 *are* traditionally considered risky bets. Lending bars are going to go up. This isn’t harsh – this is the way it always was until the free-wheeling of these last 10 years when we thought we could just throw this stuff out the doors and give loans to anyone. And look where that got us. There are good reasons folks have bad credit scores – and for the most part the law of averages always catches up to you. So – we just paid 700 billion for something that will help slow the decline, but probably cannot stop any meaningful adjustments that need to happen. Meanwhile folks will keep blaming government and corporate greed when they’re really not understanding the problem. Congress will continue to oblige with things that look like their helping on the surface to appease the masses – when the truth is NEITHER party will be able to stop the coming slides – just mitigate it. -Conserve and save cash: rare eating out, going to concerts/plays/events, stay at home and watch more movies/play video games. Read more books – anything entertainment that doesn’t cost money. -Reduce all market exposure: I’ve sold all my stock – and did so about 6 months ago. I’ve never been happier. I’m not putting anything in the market until the knife sticks in the ground and stops falling. -Save up as much living cash as possible. If you get laid off now, you better be prepared for a long, hard job search. Better save up a year’s worth of living expenses with a good bit of extra for job hunting costs. -Don’t bother with any large purchases – unless they’re commodities – and fight for a good deal. I bought my car a few months ago because I expected inflation. 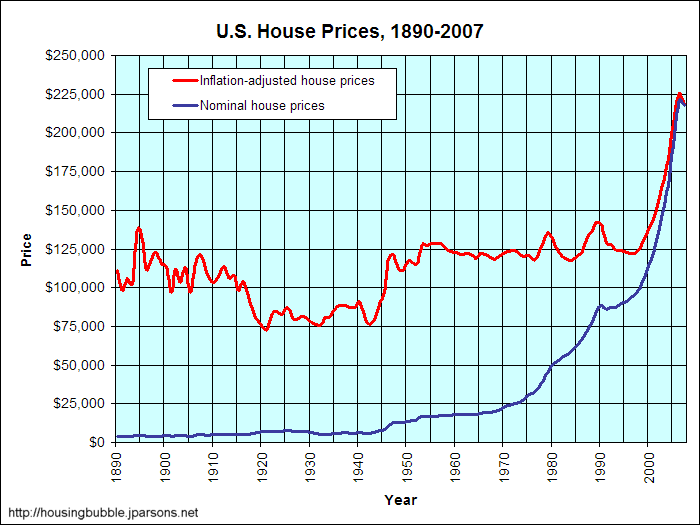 With inflation – it’s better to buy *necessary* commodities such as cars, appliances, furniture. Because they’ll all be going up in price. Look around for deals – take advantage of places that are in terrible shape. This economy is beating the midwest hard. I got a dealer in Indiana to drive my car 200 miles to a shipping place for no charge and gave me a 2-year bumper-to-bumper warranty for free. I didn’t even need to haggle. He also sold me the car at $3000 less than any dealer around here was asking. The $700 in shipping was more than worth buying it somewhere else.